Be sure you and your friends who have a Barracks use a Bodyguard. They'll help you output more damage, and you'll gain Follower Rep to boot! And if it's your Garrison, be sure to grab your strongest Follower to go on Patrol with you. 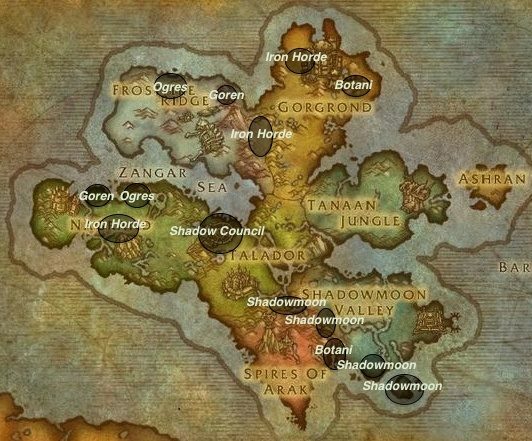 Expanding on the Invasions at Level 120. Credit to the original post by Sergijus, I am merely going to grab parts from it and update them for BfA. HOW TO TRIGGER AN INVASION -- No change to Sergijus post currently. Invasion Stages -- Major Change is that the NPCs such as the guards and Sergeant Crowler will be level 120. Therefore nearly one hit most mobs in the invasions. The mini-bosses that spawn during the invasion will take around 3-5 total hits from the NPCs to kill them. Invasion Points -- No change to Sergijus post currently. Point Levels -- 300 for Bronze, 600 for Silver, 1000 for Gold & 1300 for Platinum. Invasion Rewards -- Bronze rewards Invader's Abandoned Sack, Silver rewards Invader's Damaged Cache, Gold rewards Invader's Forgotten Treasure & Platinum rewards Routed Invader's Crate of Spoils. For example, getting Gold will reward you the bags for Bronze, Silver & Gold. You will only get these bags for the first invasion you complete each week. The mounts are possible drops from both of the Gold & Platinum bags. So you can get up to 2 chances per week to get them. *For those asking, the mounts that drop from the Gold & Platinum bags are: Shadowhide Pearltusk, Smoky Direwolf, Garn Steelmaw & Giant Coldsnout. In my research, I was able to verify that there are no known issues with the achievement at the moment. Even with this achievement being for older content, I'm afraid we are not really able to provide direct hints when it comes to completing the criteria necessary. In this case, I would recommend to try and complete another Shadowmoon invasion to see if credit is granted. If you feel like this is not working correctly, submit a bug report using the in-game bug report feature to have this sent up to the development team directly so they can look into it from their end. I have submitted a bug report so until we get word if it is intended or is fixed, its based on a weekly thing. Plan on taking at least 6 weeks to complete achievement.